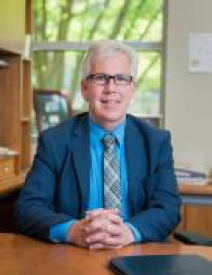 Paul Robinson, Associate Vice Provost and University Registrar, University of Michigan joined the Clearinghouse Board of Directors this summer. He also serves on the Clearinghouse Advisory Committee that meets several times a year to provide feedback to the Clearinghouse on ways to improve our existing services and recommend new areas of development. In addition, Rob Fitzgerald, University Registrar, Brown University, was selected as Chairman of the Advisory Committee. The National Student Clearinghouse is governed by a board of directors comprised of a cross-section of the constituencies that it serves, including representatives from educational institutions, educational associations, and the education finance industry. The makeup of the Clearinghouse’s board reflects its status as a trusted, neutral, and reliable source for educational information and services. At the University of Michigan, Robinson’s responsibilities include supporting the administrative and academic needs related to student and course data for all of Michigan’s 19 schools and colleges. He serves as the chief data steward for student data and student systems at the university. His office supports all aspects of student records management, registration, course management, room scheduling, examination scoring, teaching and course evaluations, degree audit, enrollment and degree certification, diploma management, institutional reporting, tuition and fee management, and National Collegiate Athletic Association athlete certification. Robinson has management experience at both private and public institutions where he has been instrumental in the successful implementation of student systems. He serves in leadership positions and committees at the University of Michigan and is active with professional groups in higher education. He holds a bachelor’s and master’s degree in public administration from Wayne State University in Detroit.